Scrubber head is easily replaceable. 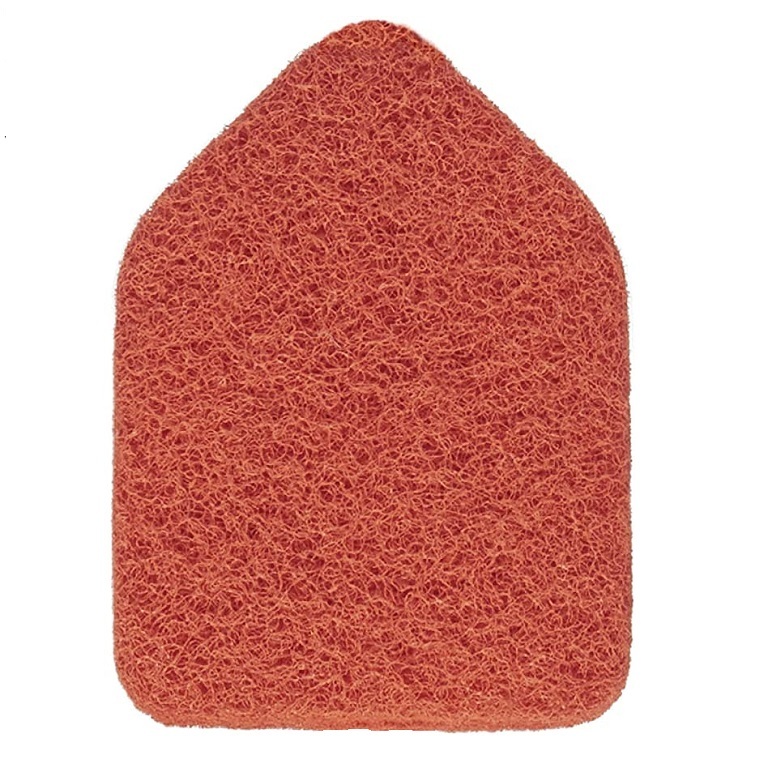 The Tub & Tile Refill Scrubber by OXO Good Grips is a replacement scrub pad for the Extendable Tub and Tile Scrubber by OXO Good Grips. This anti-microbial scrubber head is easily replaceable. 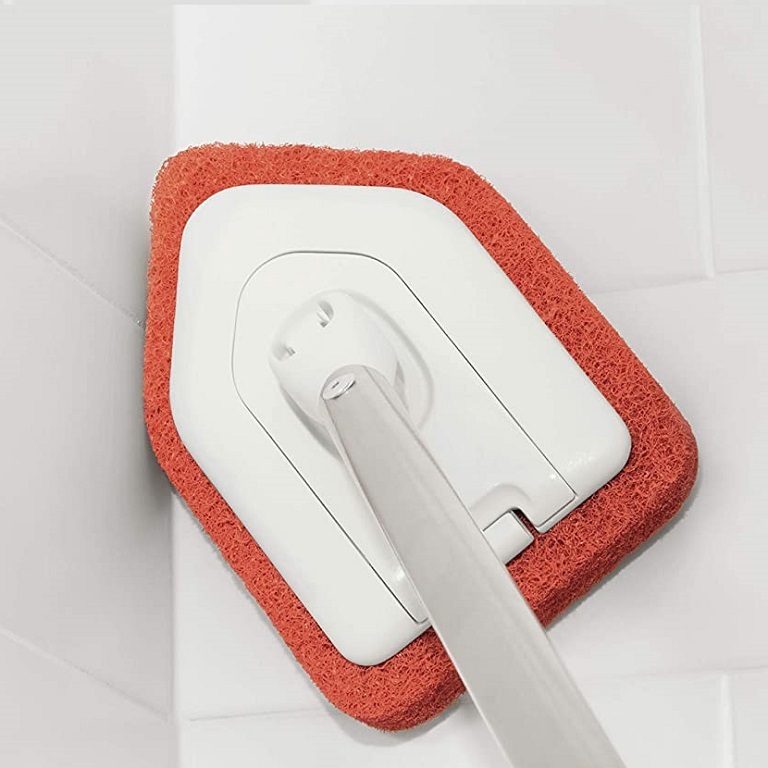 The Tub & Tile Refill Scrubber has a unique shape that is designed for getting into corners, around the toilet and other hard to reach areas. 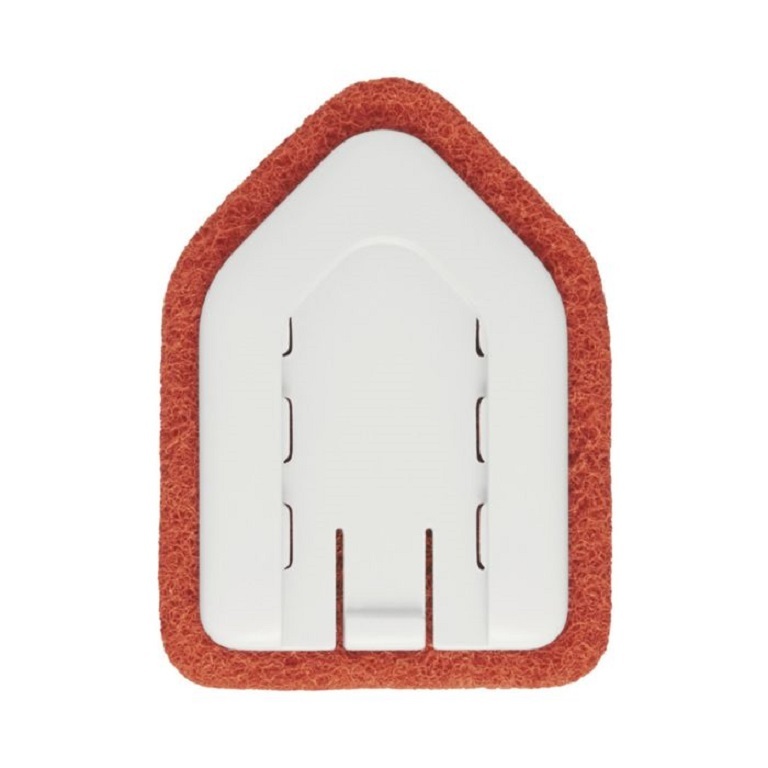 The pad is abrasive for deep cleaning, and the head pivots for cleaning at different angles. Simply press the tab on base of the Extendable Tub and Tile Scrubber head to slide off the old scrubber pad. Slide on the new scrubber head and it will snap into place with a click. 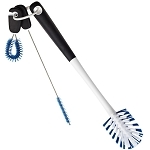 The Tub & Tile Refill Scrubber by OXO Good Grips is for use with the Extendable Tub & Tile Scrubber by OXO Good Grips. Fits: Extendable Tub & Tile Scrubber by OXO Good Grips. 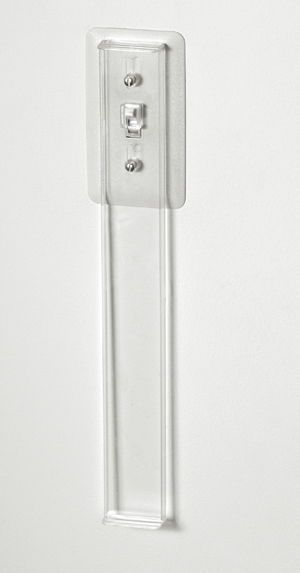 Dimensions: 6 inches long, 4.4 inches wide, 1 inch high. 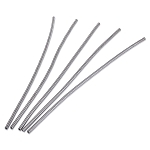 Materials: Nylon, anti-microbial scrubber pad. Good product, you can't squeeze it out once it's wet, therefore I dislike that it drips a considerable amount of water after you use it.